In this blog, we’ll divert from Livewire+ Axia topics to focus on winter prep. Except for our friends to the south and far west, the rest of us have to deal with–in some cases–harsh cold weather conditions. A little pre-planning will make the season easier. First, think of yourself. Buy cases of bottled water, and store at least a dozen bottles at each transmitter site. If you get stuck at a site, at least you’ll be hydrated. Pick up some small plastic bins–the kind with a snap-on lid. Add some chocolate bars and a few protein and granola bars, sealed in a zippered-top sandwich bag. The sealed top on the plastic bin will ward off insects and rodents. Because of their long shelf life, it can’t hurt to have some cans of soup, stew, or beans and a small camp stove or Sterno® canned heat. Depending on the number of sites you manage, you may want to duplicate portions of this emergency rations kit for your vehicle. Make sure you have a change of clothes, toilet paper, paper towels, baby wet wipes, a first aid kit, a foil thermal blanket to conserve heat, and a shovel. A camping supply store or Army surplus store is a great place to gather these items. At New Hampshire Public Radio, a Telos customer, transmitter engineer Steven Donnell adds a neat find, seen in figure 1. 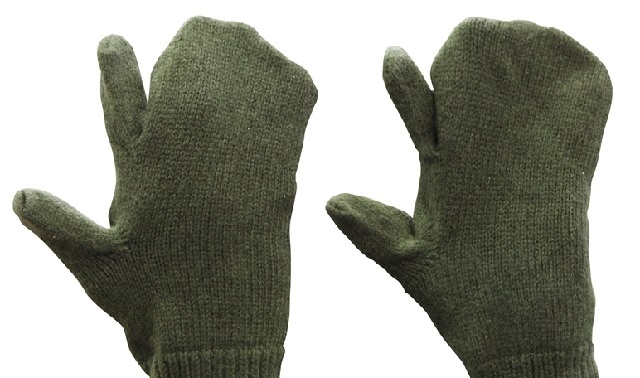 Steven found these wool mittens at Army Barracks, a military surplus store in the Northeast. They can be found at a number of stores, both brick and mortar and online. What makes the mitten unique is it includes an index finger, for better dexterity than regular mittens. Steven bought a bundle last fall and keeps a pair in his vehicle and company truck. Gloves, the aforementioned mittens, a scarf, and a warm ski mask or hat are also worthy additions to your winter preparedness accessories. When you head out to a site in the winter, remember to dress as though you were going to walk home-you just might have to. Add a flashlight, spare batteries, and an emergency whistle, and stash it all in a backpack that can be stored behind the seat of your vehicle or in the trunk. Duplicate your emergency kit for each transmitter site, and perhaps include a fold-away cot, also found at surplus stores. Are there items you’ve included that aren’t listed here? Email your thoughts, along with pictures to john.bisset@telosalliance.com. Published submissions will receive a Telos gift pack, and qualify for SBE Recertification Credit.